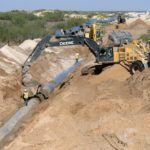 As we move further into the 21st century, civil engineers continue to evolve to meet the challenges of the future, including access to clean water for a growing population, aging infrastructure that is need of repair and renovation, preparation for the next natural disaster, and the effects of climate change. How these problems are solved in 2025 or beyond will depend in large measure on the imagination and creativity of the generation of civil engineers in college today. 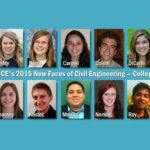 To provide a glimpse of who some of the innovative and creative engineers of the future will be, ASCE has selected 10 outstanding students as New Faces of Civil Engineering–College Edition. These students have not only achieved academic success and commitment to community involvement, but also demonstrated leadership, professional attitude, optimism, teamwork, excellence, and a sense of mission. As a volunteer with the Bihar (India) Disaster Management Authority, it was the responsibility of Manish Anand, S.M.ASCE, to guide people in the community and make them aware of natural disasters like floods and earthquakes that individuals living in India often face. A member of the ASCE India Chapter, Anand recently participated in a national conference on Recent Advances in Civil Engineering, held at NIT Patna, which provided him with a golden opportunity to interact with many international civil engineers. When Melissa Butcher, S.M.ASCE was in high school she had no idea what engineering was. Butcher volunteers not only at the annual USF Engineering EXPO, which attracts thousands of middle- and high-school-age students from around the Tampa Bay area to learn about the different educational and career avenues available through STEM subjects, but also with Tampa Bay Watch, an organization that protects and restores estuaries in greater Tampa through scientific and educational programs, and Keep Tampa Beautiful. While attending the University of South Alabama (USA), Racheal Cooley, S.M.ASCE, participated in 2 research projects with 2 specific goals. First, to determine the degree to which potable water pipeline cleaning methods influence the ability of newly installed plastic pipe to release chemicals into drinking water, and second, to design and install a method to collect storm-water runoff in order to determine the effects of vegetative filter strips on storm-water constituents. President of the USA ASCE Student Chapter, Cooley is also a member of the Society of Women Engineers, the Society of American Military Engineers, the Associated General Contractors, Tau Beta Pi, and the school’s Concrete Canoe team. She was named to the USA Presidents Scholars List in 2012. As an intern this past summer for the City of Birmingham, Michigan, Jay Garth, S.M.ASCE, got to see first-hand how civil engineers response to a natural disaster. Two devastating rainstorms flooded the basements of over 100 homes in the city, particularly in a construction zone, leaving residents angry, asking for answers, and demanding compensation,” recalled Garth, a student at Wayne State University and member of the Chi Epsilon Honor Society. “To see the quick response of my bosses during the disaster clearly [evidenced] to me the level of commitment, integrity, and honor they have for themselves and their profession. Vice president of the Wayne State University ASCE Student Chapter, Garth has been a member of the school’s Steel Bridge and Concrete Canoe teams. Involved with community activities, he is a member of the Habitat for Humanity Volunteers Committee and the Hurricane Gustav relief effort in Jackson, Mississippi, and New Orleans, Louisiana. In addition, he was a volunteer this past year at the YES (Youth Engineering & Sciences) Expo, where he manned Wayne State’s Steel Bridge display and showed children how to make their own concrete. Garth says it was a trip to the Cedar Point Amusement Park in Sandusky, Ohio, and a 300-foot rollercoaster called Millennium Force that made him decided to become a civil engineer. “I was so amazed by these structures that I knew I wanted to somehow build them,” says Garth, who grew up Saginaw and now lives in Detroit, Michigan. Originally, Ramon Lopez Jr., S.M.ASCE, was going to become an architect. That’s a good thing for the civil engineering community, because throughout his college experience Lopez has been heavily involved with a number of activities, including HESTEC, an Hispanic Engineering Science and Technology Week event that promotes STEM careers among South Texas students who are predominantly Hispanic; TACRAO (Texas Association of Collegiate Registrars and Admissions Officers) 2013, where hundreds of students from the local high school and middle school attended to gain information about applying for college; and Bronc Round UP, an event held where undecided registered students gain information on potential degrees and social clubs. Taking on the responsibility of being vice president of activities with the University of South Florida (USF) Student Chapter offered Trang Luong, S.M.ASCE, an unexpected opportunity to enhance her personal and professional development. “My participation,” explained Luong, who is also a member of Tau Beta Pi, the Florida Engineering Society, the Society of Women Engineers, and the University Student Tutor Association, “has helped me to cultivate a wide range of social relationships, such as meaningful and supportive friendships with my fellow engineering students and networking opportunities with faculty, staff, and professional engineers. On April 2, the National Engineers Week Foundation selected Luong to serve as ASCE’s New Faces of Civil Engineering, College Edition representative and received a $500 cash scholarship. Among the many other highlights of Luong’s young career was being an invited speaker at the USF College of Engineering 20th Anniversary Heart of Gold Scholarship Awards Luncheon on October 4, 2013, to share her experience of engineering study. 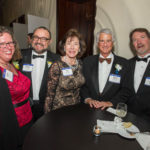 The speech was presented to the university president and dean, faculty of the USF College of Engineering, and donors, sponsors, and scholarship recipients. Loung also participated in a research internship project in structural dynamics at the Bauhaus-Universität Weimar, Germany, in 2013 by performing dynamic analysis using a finite-element program, and designing a beam’s models to analyze and compare with experimental data. The 12-week internship was a prestigious national scholarship funded by the German Academic Exchange Service Research Internships in Science and Engineering Program. Jamieson Matthews, S.M.ASCE, has a dual passion for both engineering and physics. As a student at Samford University studying engineering physics, he was able to combine these 2 affections by being a member of a team that designed and built a man-powered moon buggy and raced it in the NASA Great Moon Buggy Race at the U.S. Space and Rocket Center in Huntsville, Alabama. 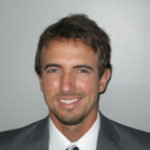 Simultaneously earning bachelor’s degrees from 2 different institutions – civil engineering at the University of Alabama at Birmingham, and physics at Samford – Matthews participated in an unusual engineering research project regarding the flight of a Frisbee. “These experiences have shown me that engineering truly interests me and that I will thoroughly enjoy working as a professional engineer,” says Matthews, who graduates from both universities in May 2014. Besides currently serving as vice president of the UAB ASCE Student Chapter, Matthews is a member of Chi Epsilon, Tau Beta Pi, Phi Kappa Phi, Delta Epsilon Iota, and Alpha Lambda Delta. He has been named to the Dean’s List, and was a 2013-2014 NASA Space Grant Scholar and the 2013 Charles E. Alexander Memorial Transportation Engineering Scholar; he was also the recipient of the Seal Award and Wheeler Award from Samford University. As a member of Engineers Without Borders-USA (EWB), Kristina Milaj, S.M.ASCE, was selected in the summer of 2012 to be part of the travel team that went to Lela, Kenya, to supervise the drilling and installation of a hand-pumped well for the community and manage the rainwater catchment system design implementation for the primary school. That experience reinforced my faith in engineering practice and made me realize the complexity of our problems and the importance of various skills needed for the job,” says Milaj, a student at Oregon State University (OSU) who has served as executive board member and secretary of the school’s EWB chapter. A native of Shkoder, Albania, Milaj recalls how engineering was not even a word in her vocabulary until she came to the U.S. as an exchange student. Executive chair of ASCE’s OSU Student Chapter and a member of the school’s Steel Bridge team, Milaj has been active with EWB and the Society of Women Engineers (SWE). With EWB she was a member of its Kenya Project Documentary, served as West Coast Regional Conference Workshop coordinator and as a fundraising banquet keynote speaker, and hosted EWB booths at campus events. With SWE, Milaj was a presenter at their Region J Conference. “Through my involvement with EWB, ASCE, and SWE student chapters, I have developed communication, critical thinking, time management, and leadership skills beyond what any classroom could offer,” says Milaj, who was an intern with the City of Vancouver, Washington. Elyse O’Callaghan, S.M.ASCE, comes from a family of engineers. Actively involved with the Marquette University Chapter of Engineers Without Borders–USA (EWB), where she served as 2012-2013 president , O’Callaghan is presently the chapter’s project manager for a vehicular bridge senior design project in Guatemala, which began in August 2013 and will be constructed in January 2015. Previously, she was project co-lead for a suspended-cable pedestrian bridge in Guatemala, October 2011 – May 2012. Among her other activities, she was selected to serve as a keynote speaker at the Wisconsin Transportation Builders Association Annual Conference, January 2013, and was a presenter at ASCE’s Wisconsin Annual Meeting in September 2012. As with many children, Andrew Wells, S.M.ASCE, was always playing with Legos. While in middle and high school, Wells had the opportunity to go on 4 humanitarian missions to Haiti, the last one being several months following the 2010 earthquake. Presently, Wells serves as UNH liaison to the ASCE New Hampshire Board of Direction. This article is a great way to recognize the students that are already demonstrating a commitment to use their knowledge and skills for the advancement of the people-orieted civil engineering profession. Congratulations to the ASCE staff for putting this together. Thanks for highlighting these bright and engaging civil engineering students! It is a pleasure to see the variety do interests and motivations that brought these young people to engineering. The diversity of people and institutions reflects the great ground that civil engineering has covered since I was a student in the mid-1970s. I can’t help but smile back at these student’s smiling faces and know that they, and our profession, will excel.